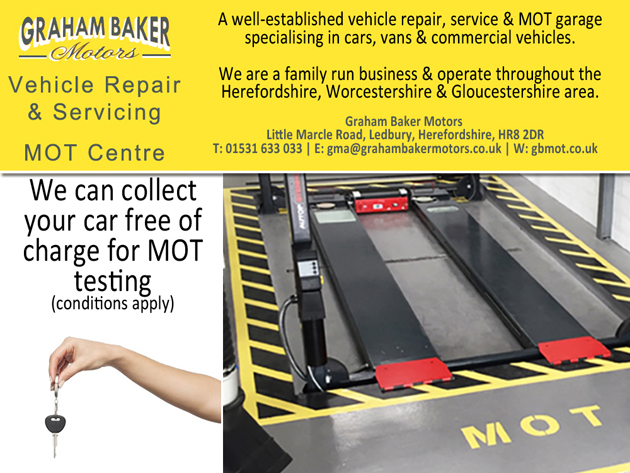 Graham Baker Motors is offering a MOT Free Car Collection Service which is a convenient solution to customers. We can collect your car from your home or place of work free of charge for MOT testing and general servicing repairs (conditions apply). Graham Baker Motors are an official VOSA MOT centre and are approved to carry out Class 4 MOT tests. This class of MOT's cover cars, vans and 4x4's and also includes petrol, diesel, hybrid and electric vehicles.